Departing Train Shot, originally uploaded by pamhule. 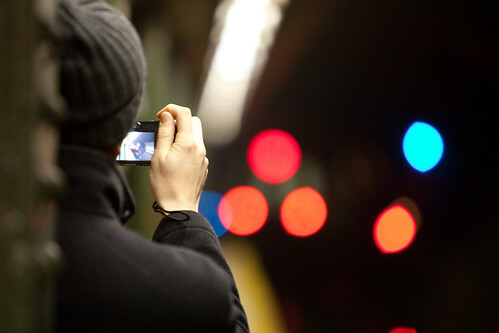 A man photographs a subway train as it leaves the Clark Street station in Brooklyn, New York on January 14, 2010. Thanks for the feedback. I still haven't figured out exactly where to take this blog. I would love to hear from others as well about how to development this blog and make it more interesting.